Austin has a strong record and long-standing commitment to sustainability. 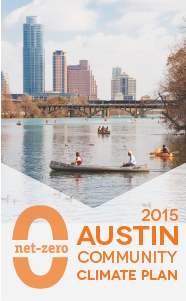 Our Office tracks how Austin is doing using a broad range of key performance indicators. This overview page describes the ten topics and lists all of the related performance metrics that are tracked. To view the data for a specific topic, click on the corresponding icon below. How is your City government doing? 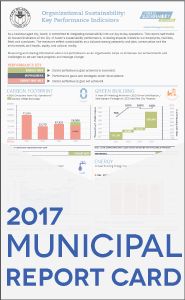 As part of being a Best Managed City, the City of Austin is committed to integrating sustainability into day-to-day operations. Measuring and sharing information about our performance as an organization helps showcase achievements and identify challenges.